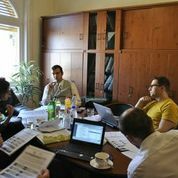 In the frame of the Pan-European Criteria & Indicators for Sustainable Forest Management (CI-SFM) project, a series of workshops has been organized in different locations in Europe, to provide a platform for discussion on the Pan-European C&I set. 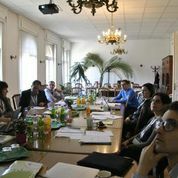 This second workshop took place in Budapest, Hungary. This Regional Workshop was supported jointly by the Hungarian National Food Chain Safety Office and FAO Regional Office for Europe and Central Asia (FAO REU). The workshop participants discussed progress assessment towards SFM and identified emerging issues in Central and Eastern European regions. 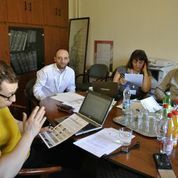 The workshops outcomes will support the work of the FOREST EUROPE "Expert Group to Propose Improvements in Tools for SFM” and will be considered during the preparations for the CI-SFM Pan-European Forum on C&I implementation.